Has your skin seen better days? Factors like sun exposure, pollutants, and lifestyle choices can really take a toll on your skin and make you appear older than you would like to. A growing number of patients are turning to non-surgical treatments that require no downtime but still offer significant results. These treatments are a great way to rejuvenate your entire appearance. Although cosmetic surgery certainly offers noticeable results, some people feel that this type of procedure is too drastic for them. The good news is that there is a wide variety of treatment choices available to you if you feel that going under the knife is too dramatic of a step, such as microdermabrasion. 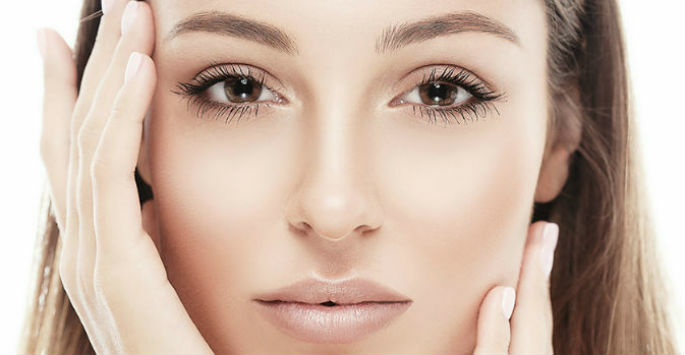 Microdermabrasion is a type of skin rejuvenation treatment that can exfoliate the outermost layer of dead cells and stimulate the formation of new collagen, revealing more youthful skin. This minimally-invasive rejuvenation treatment provides improvements in problems like blemishes, fine lines, sunspots, and dull skin. In addition to diminishing certain problems, microdermabrasion allows topicals to be more easily absorbed and more effective. Skin care products like serums, creams, lotions, and ointments see far greater penetration and effectiveness after a microdermabrasion treatment. This treatment works as a great part of your regular beauty routine. Who Makes a Good Candidate? You may make a good candidate for microdermabrasion if you are seeking to brighten your complexion and enhance the radiance of your skin. It may also help you if you have experienced sun damage, fine lines, or scars caused by acne or surgery. To learn more extensively about what makes a good candidate for microdermabrasion, someone on our team would be more than happy to assist you. If you would like to learn more about how to rejuvenate your look, talk to our team at Feel Good Laser and Skin Clinic in Richmond, VIC. Contact us today to book an appointment. *Any before and after photos displayed are / can be actual results from the device used at Feel Good Laser & Skin Clinic. However, results will vary and may be different for each individual. It is important to book a free consultation to have your concern assessed by our trained staff and a personalised treatment plan developed for you.